Green is a way to turn your dog or cat’s meal into a challenging game. 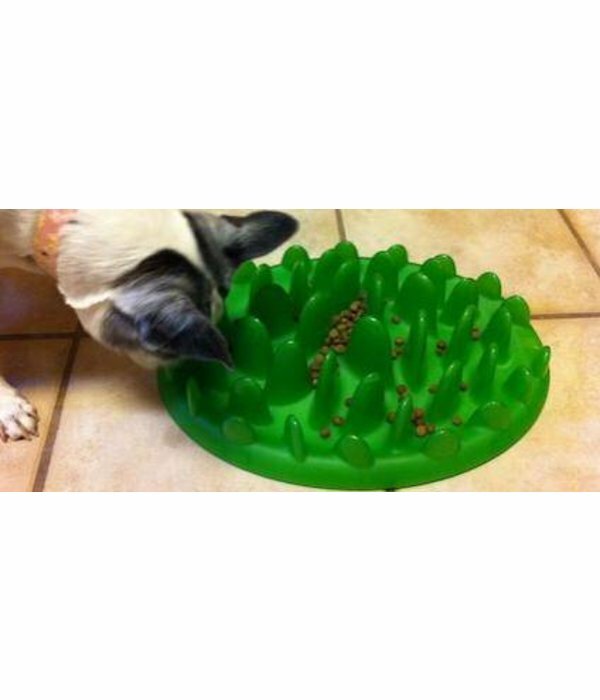 Many pets lack mental stimulation which can lead to boredom and unwanted behaviours such as inappropriate chewing or barking. 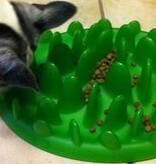 By entertaining them with their own food stimulates them mentally and help to remove these problems. 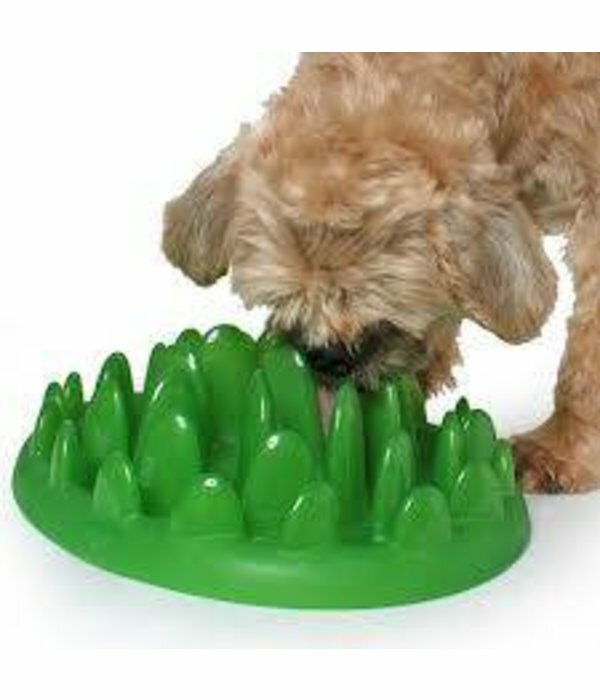 Scatter the desired amount of food across the Green and watch your pet ‘work’ to push the food out between the many blades of grass. 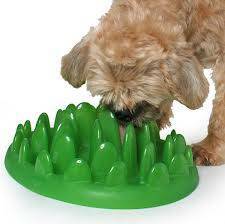 Another important feature of Green is that it prolongs eating time, which is proven to significantly reduce the risk of vomiting, gagging, gas and belching and also decrease the risk of `bloat’ a potentially fatal disease for dogs. 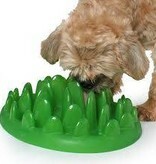 This results in a happier and healthier pet. 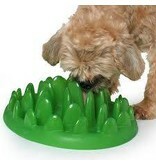 Green has been designed so that one size can be used for all pets, regardless of weight and breed. It is made of hard plastic (without phthalates) and can therefore be used both indoors and out and is also completely safe to be cleaned in the dishwasher. Movie: click here (dog) and here (cat).